If you're entering into any kind of deal in the music industry where money and contracts are involved, you should probably hire an entertainment or music lawyer. You're looking for someone who specializes in things like record label contracts, and who knows the industry. Finding an entertainment lawyer for the first time can be a little overwhelming, but it is possible to find one who understands your needs and your budget. Don't wait to hire a lawyer if you think you need one (or even if you're not totally sure). Here are some steps to take when you want to hire a music lawyer. 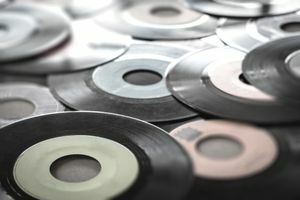 Music lawyers are under the umbrella of entertainment law, and many specialize in a certain part of the music industry. Understanding what you need legal help with will make it easier for you to find a lawyer who is up to the task. Knowing whether you are looking to build a long-term relationship with a lawyer is also something to consider. Do you need an entertainment lawyer on a one-time basis, or do you need to keep a lawyer on retainer? If you're new to the business and this is your first contract, you probably don't need to put a lawyer on a (costly) retainer. That kind of arrangement is more appropriate for a label managing multiple artists, or someone negotiating numerous contracts with different parties. Maybe you need help with contract negotiation or dealing with intellectual property issues. If you're not sure, better to get a lawyer to find out. If possible, your lawyer should be present with you during any negotiations with the other party. At the very least, your lawyer needs to read over and approve any contracts or other documents before you sign them. Once you know what you need from a lawyer, start asking those in your music industry circles. You are almost certain to know someone who has had to visit a lawyer for a music industry issue before. There is no substitute for a recommendation from someone who has had a good experience with a music lawyer, or a warning from someone who has been burned. Your contacts' contacts are your best pool of information. But it's also smart to do some independent research. Start by doing a Google search for entertainment lawyers in your area. Who do they represent? Have they ever been sued or had any legal issues of their own? These are the questions you'll want to have answered before you hire anyone. Recommendations are the best way to find a lawyer. But obviously, you should decline any advice from the party on the other side of your legal issue. They may have good intentions, but you can't be too sure. You want someone who is representing your interests without any conflicts. If you live in a town without any music- or entertainment-focused attorneys, expand your search. Read reviews from old clients and check out websites to figure out who specializes in what part of the music industry. While you are doing your research, be sure to check for any complaints about your short list of lawyer names with the bar association. Avvo.com can also help. Whether you do it by phone or in person, have a brief question and answer session with your short list of lawyers. Find out what they specialize in, how soon they can work on your case, how much they charge and what their payment terms are. If you get a bad feeling or just don't hit it off with a candidate, don't feel any obligation to hire them. After you have had your initial meetings with your short list, choose the lawyer that has the skills for your particular case at a price you can afford. It is also important that you feel comfortable with your lawyer. You need someone who listens to you and wants to get you the best possible deal.